Every time you create a post or a page, you need to add at least one or two images. And with WP FotoPress now you can find, edit, create & insert any number of images straight from your WP admin dashboard. 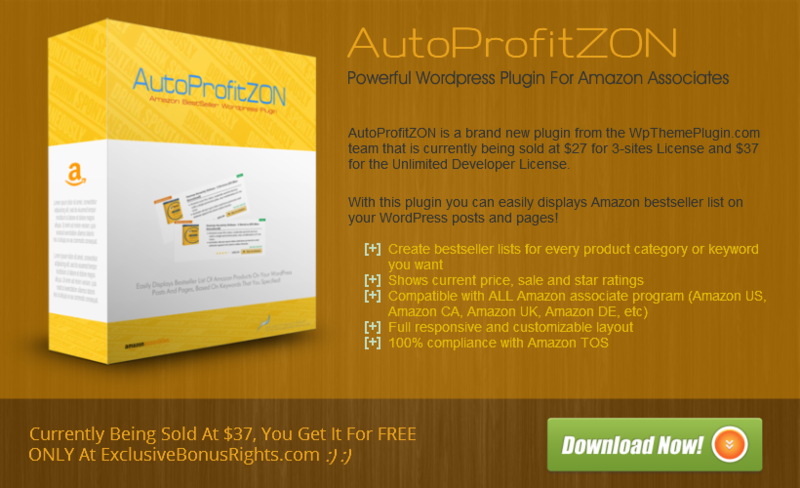 This plugin was actually launched back on January & even got picked as JVZoo Product Of The Day. [+] Edit images directly inside the wp admin area with full Photoshop-like editor. 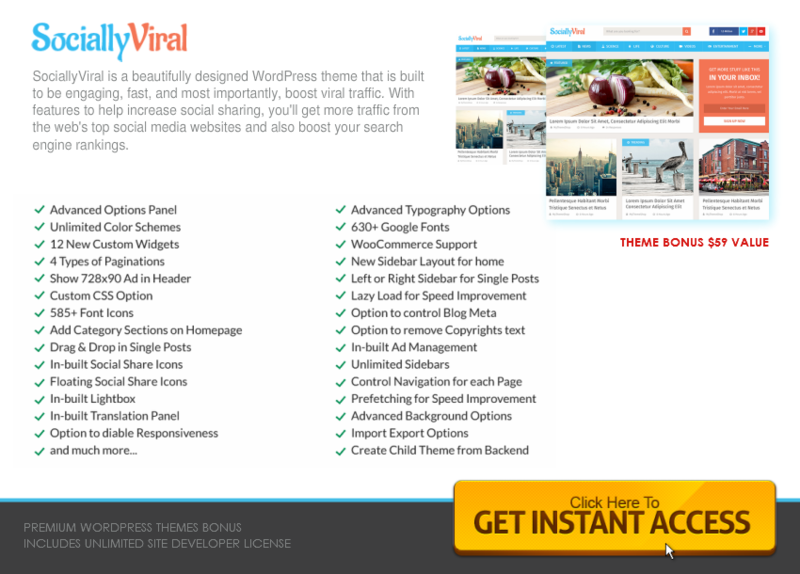 I think many people will find the plugin useful, and it is obviously will save lots of your time. WP FotoPress will go live Mon, Oct 31st at 10am EDT. However the salespage is already live right now, so if you want to get in early go ahead and remember to use coupon code FOTO5 to get $5 discount. I've put together this amazing BONUS package for you if you like WP FotoPress and decide to buy it from my links here..
Mystery is the perfect theme choice for publishing news and sharing your views. 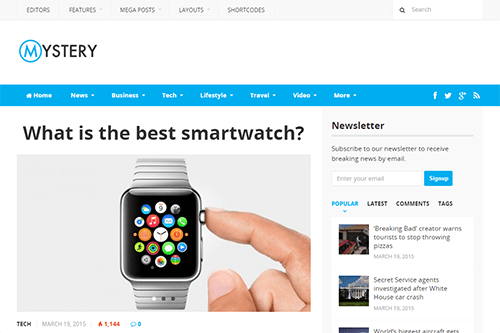 It's packed with multiple content layouts, mobile responsive design, feature-rich theme options, SEO optimized and many more! This plugin will automatically adds a Social Sharing button inside any images on your content.. thus INCREASING your traffic & social signal. 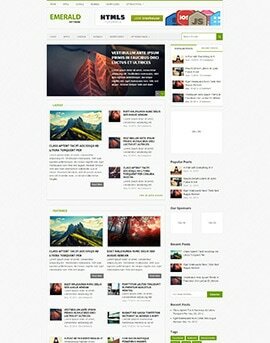 Emerald is a bright and refreshing magazine WordPress theme that features a fully responsive design, cutting-edge HTML5 and CSS3 markup, a full complement of widgets and an integrated options panel. Built for bloggers who want to grow their blog to its full potential, Emerald includes SEO, social media and ad optimization. 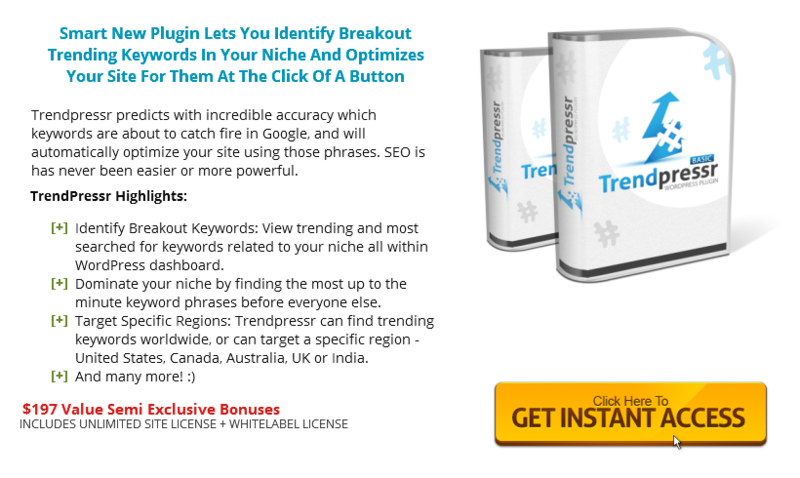 ExtendAzon 2.0: Plugin Gets You On-Site Cart, 90 Days Cookie.. And More! The version 2.0 of ExtendAzon plugin goes live on Thursday, Sept 29th at 9am EDT. What’s new on this v2.0? Is it really good? Let’s find out! What Benefits You Get From ExtendAzon 2.0? As you know the Standard Amazon affiliate links provide 24 hours cookie for the affiliate to land a sale & get credited for the sale. However, the ExtendAzon system is able to extend cookie lifespan from 24 hours to 90 days! How Does ExtendAzon Able To Do It? 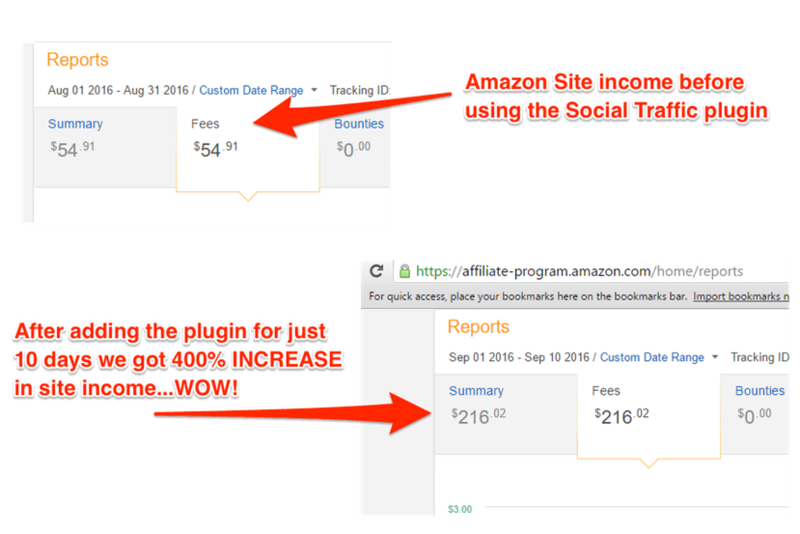 After you install the plugin, it will convert your Amazon affiliate links into an automatic, on-site shopping cart. Then when someone click any of your Amazon link on your website, instead of them be redirected to the Amazon page, the plugin will display a shopping cart. So you can KEEP that visitors on your site to try to entice them to buy more than one product before they proceed to check out on Amazon. There are several shopping cart templates you will get from ExtendAzon. This is 1 of the coolest feature I’ve seen from an Amazon plugin. So whenever a visitor adss a product to the shopping cart, ExtendAzon will automatically show them several products that were commonly purchased with it. With a single click, the visitor can view details about these additional recommended products and add them to their cart! Quality: The first version was already good, and now the v2.0 makes it a lot better. Usability: The plugin has quite lots of setting on the options page. Luckily Ryan put a short description on each of the setting options. 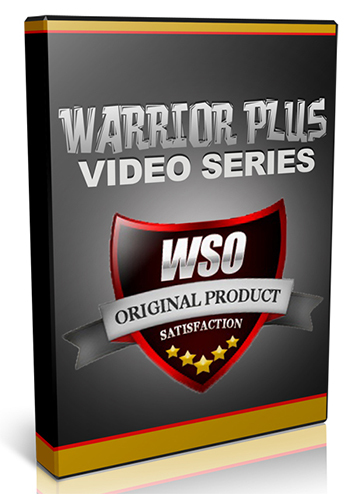 It makes you able to use the plugin straight away, without even have to take a look at the video guide or documentation that he provides. Funnel: The launch scores a high point on the funnel, no sales trick of “Pro upgrade” or something like that whatsoever. Vendor Trustworthy: This makes for a really high score too, Ryan Stevenson is a successful Amazon affiliate by himself & a talended WP coder. So in terms of product quality and benefits you will get as a customer, it’s definitely a winner. 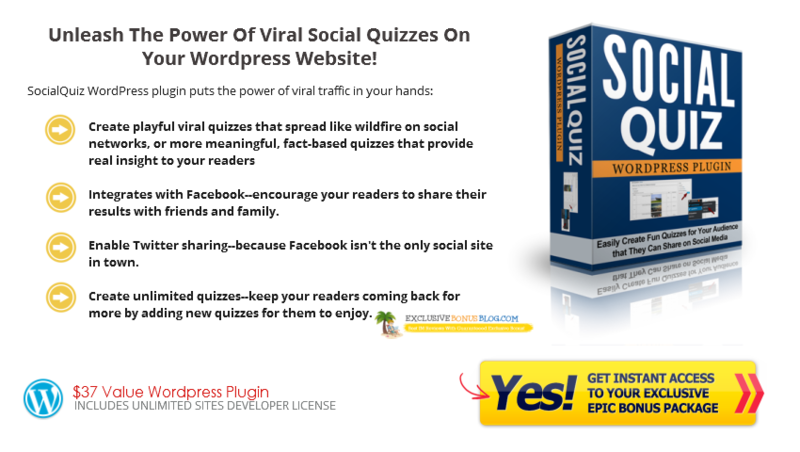 Author Leo (BCBiz)Posted on September 28, 2016 October 31, 2016 Categories Wordpress Tools5 Comments on ExtendAzon 2.0: Plugin Gets You On-Site Cart, 90 Days Cookie.. And More!